I am so excited to bring you guys this drink recipe! I worked super hard to develop something unique, and I think I got it! 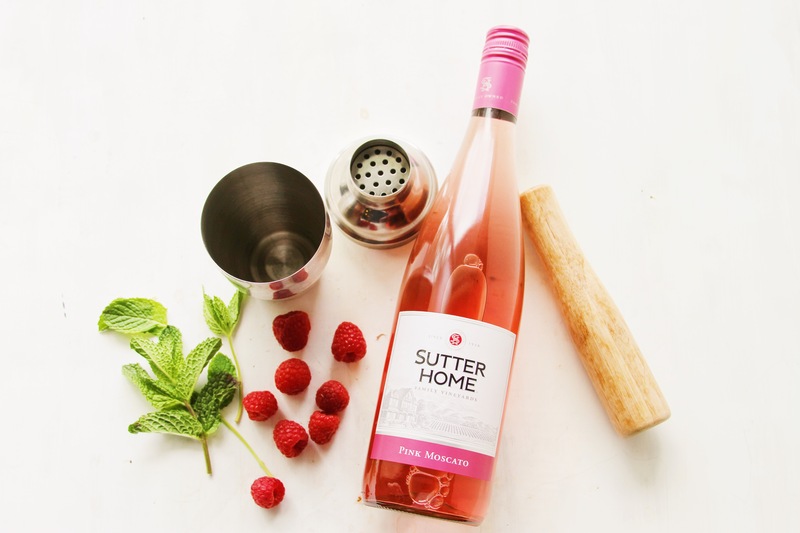 Sangrias are the first thing you think about when working with wine, but I wanted to make a trendy and delicious cocktail. 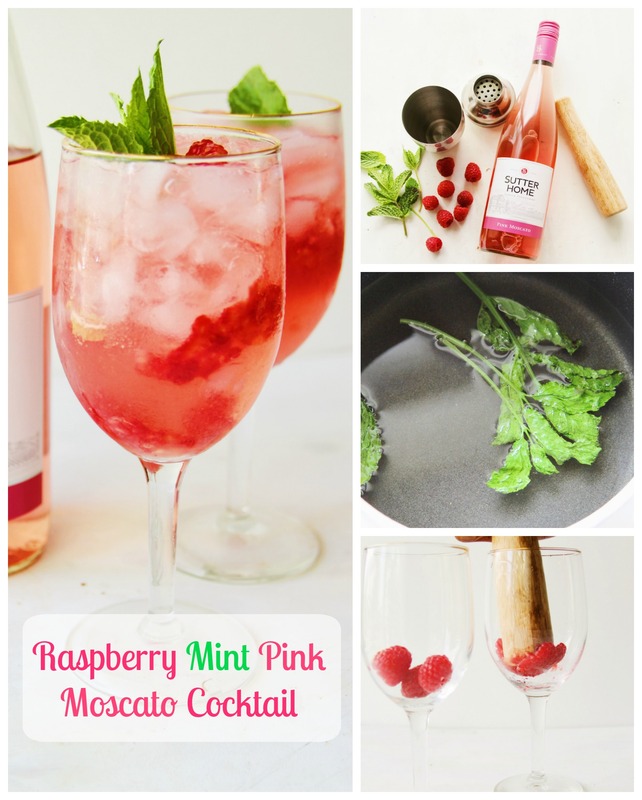 Two flavors that work well together are raspberry and mint. It’s fresh and fruity! 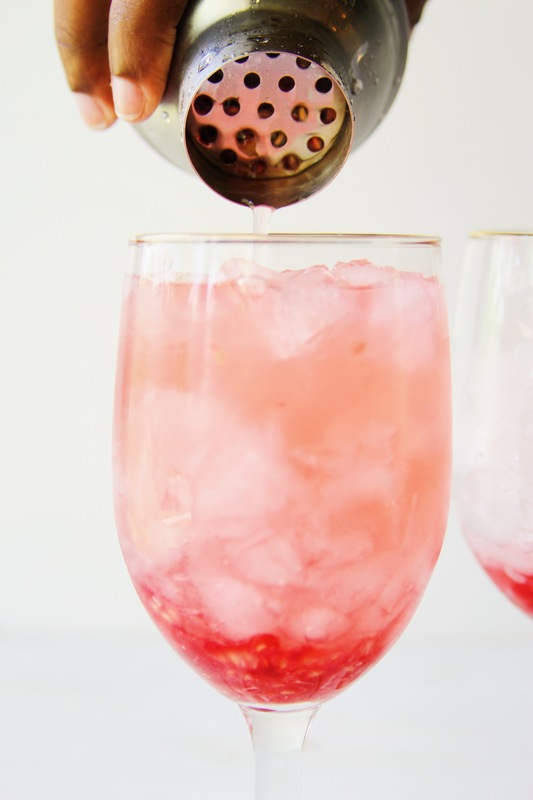 The perfect drink for spring and summer. I’ve been infusing my simple syrups for years. I love the way it takes the flavor of a cocktail to the next level. With this recipe, I didn’t want to just muddle mint leaves in a shaker I wanted to capture that minty fresh flavor. 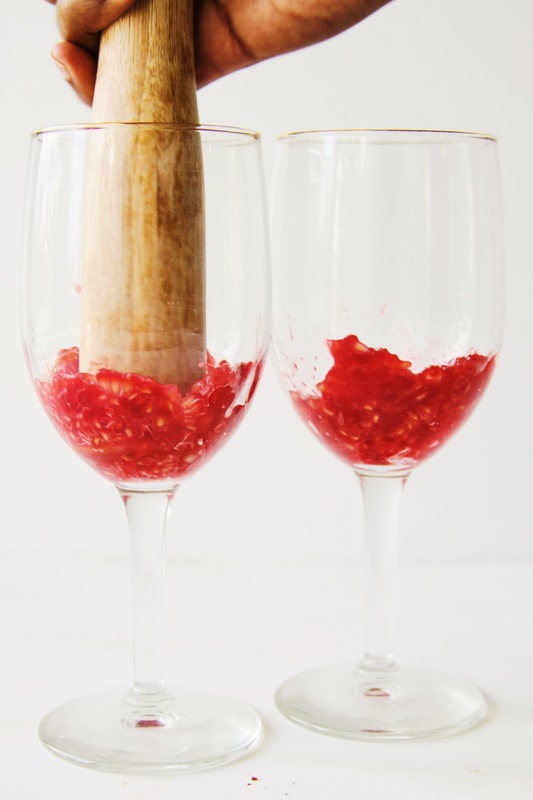 To start – drop a few raspberries in your glass and muddle them until pureed. This looks perfect! These mashed raspberries take this drink to the next level. The next part is super easy also; combine equal parts water and sugar in a small pot of boiling water until the sugar dissolves. 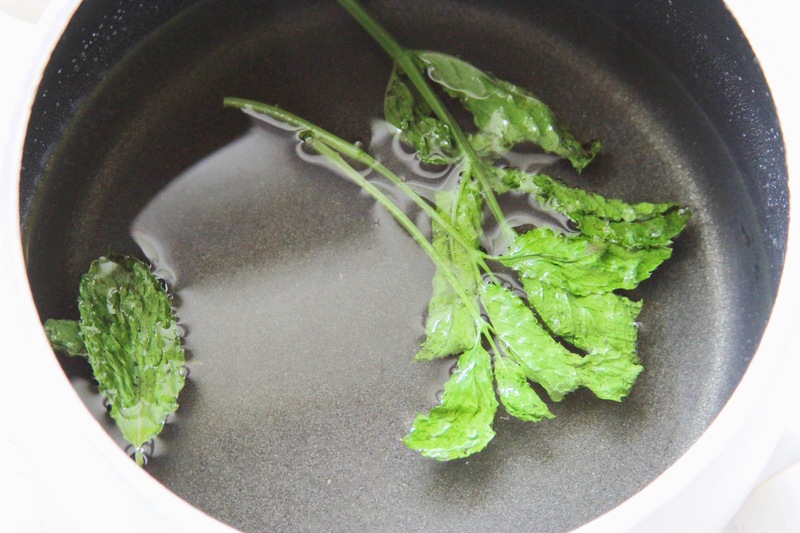 Remove pot from heat and drop in the mint leaves. 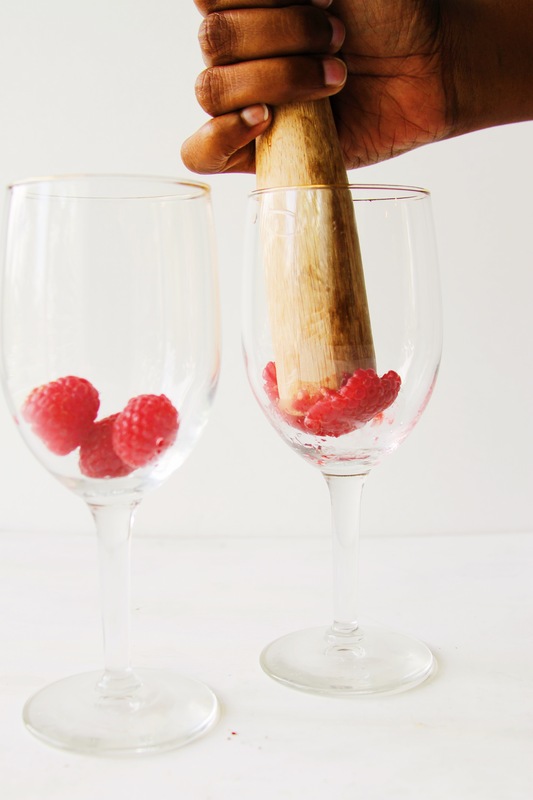 Now its time for the fun part adds a few more raspberries to a shaker along with 3 ounces of pink moscato. Muddle the raspberries in the shaker. Next, add vodka and mint simple syrup to the shaker and shake it til it feels right (cold in your hands) lol. Now add crushed iced 3/4 of the way full in your glass and pour the cocktail over the ice. Add equal parts sugar and water to a small pot and boil until sugar dissolves; remove from heat. Add mint leaves and set aside to cool. 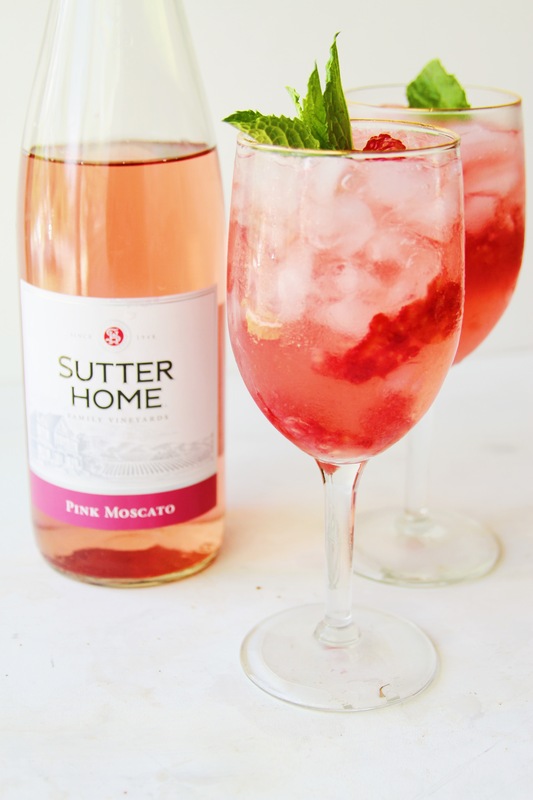 In a shaker add raspberries and pink moscato wine; muddle. Add ice, vodka, and simple mint syrup. Pour over crushed ice and garnish with mint. 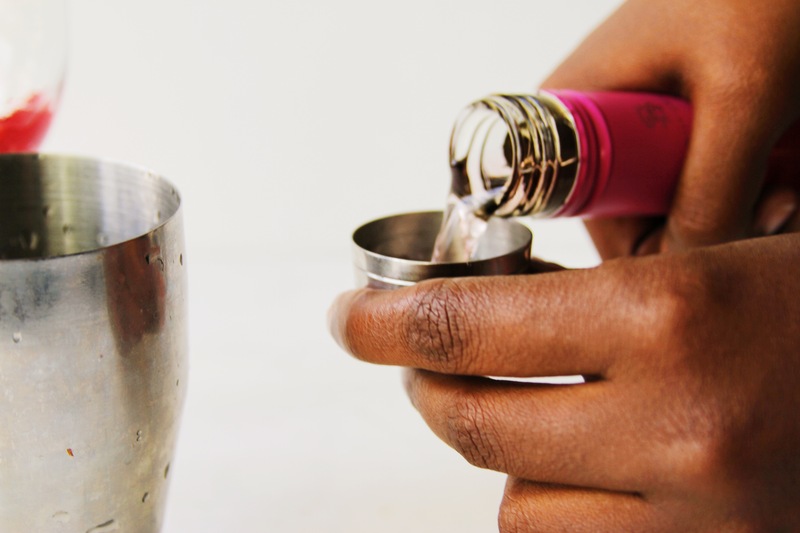 What’s your favorite cocktail to serve at a happy hour party? Let me know in the comments below! Also, tag me on social media by using #margaritasontherocks if you decide to try this recipe!